All of us have suffered consequences in life for our actions, some good and some not so good!! This is a story of growing up and making a mistake then having to live with the repercussions! My Dad always used to say you reap what you sow, well this is a prime example of that. I won't give the story away as I will let it develop for you if you choose to watch it. Lately I have been watching movies with Tye Sheridan in, as I think he is a great young talent and upcoming actor. This movie at times was really tough to watch not because of bad acting or a totally bad storyline, but just because life can be tough on us all. At times the story made me cringe and even though I hadn't done anything of this magnitude, I still made some life choices that I wish I could go back and change, as we all have. 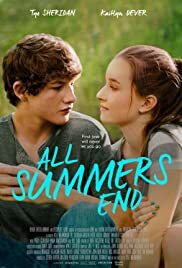 I thought that Tye Sheridan and Kaitlyn Dever carried this movie. I would have rated it even higher, but thought something was lost by not exploring more of the parent's lives and how they handled tragedy in their own lives. Again seems like most of the movie was carried on the young actor's and actress's shoulders. Still overall I felt a decent movie and one that is worth watching! 7 of 24 people found this review helpful. Was this review helpful to you?